Looking for new Tacoma tires? Don’t know what “P, C, D” mean? Let us explain. Load capacity is really about how much weight the tires can handle and how good they may be in differing environments. The majority of the time, you won’t need to know this information. However, when you do, it may be critical to your success. For 99 percent of Tacoma owners, the “P” load range is the one they need to pay attention to. This load range is classified as a passenger tire. It is ideal for a variety of highway and street driving with very light off-roading. Typically, it has a maximum air pressure load of 35 psi. For other common truck tires, they are listed in alphabetic fashion starting with “B.” These load ranges don’t necessarily correspond to how much load a tire can carry. Rather, the maximum load numbers are more important. They are expressed as pounds per square inch at a specific psi cold. Alphanumeric load-range values are expressed on the sidewall as load range “C,” “D,” and “E,” but are not always reflective to the actual load the tire is capable of carrying. The more important numbers to consider are the maximum load numbers expressed as pounds per square inch at a specific psi cold. Here are the load ranges and maximum psi of light truck tires. NOTE: light truck tires are often available in multiple load ranges. 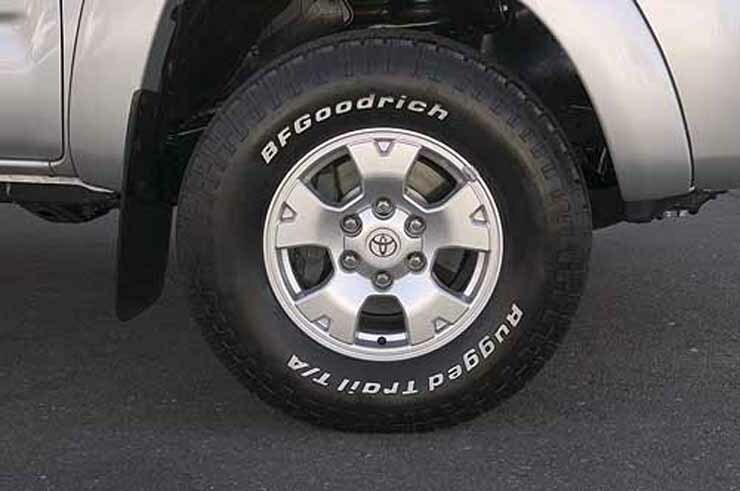 Light truck tires are often branded with their load range or ply rating on the sidewalls. For example, LT245/75R-16 E, 7.50R-15 D or 31×10.50R-15 C.
If all you plan on doing is driving your truck on the streets/highways with the occasional hauling of a couch or a dirt bike, than the “P” tire load is the right one for you. If you plan on pushing the maximum towing limits on the Tacoma, on the other hand, then you will need to consider buying a higher load range tire. This tire will be better suited to handle the extra weight and will not suffer blowouts common to overloaded “P” tires.